Cultural differences are easiest factors to make a faux pas while meeting someone from a different part of the world. Vietnamese and Western lifestyles seem to have not that much things in common, that’s why there’s a bunch of things which Viet people cannot understand about Westerns. Along with cultural backgrounds comes a shock after revealing the truth. To avoid such situations, we are going to present few things which Vietnamese people can’t really understand about Western culture. In Vietnam and basically in Asia, age is something which describes a person not only from actual years of livingin the world but also from a point of manners. Elder people need to be treated with special care and respect by youngest ones, even if the age difference is like 1 year only. Directly asking about age is nothing wrong in Vietnam, however, it seems to be rude in western culture. That’s why many Vietnamese people do not understand why Westerns do not reveal their age immediately. Asian people have a tendency to love white skin tones and try to do everything to make their skin looks paler. There'rethousand of whitening cosmetic productsavailable on the market. Vietnamese people cannot understand why Westerns are likely to tan their skins into gold brown colors instead of keeping skin tone as white as it’s possible. Along with age, revealing monthly income and talking about a job in details is something which Westerns do not like to said about while in Vietnam (and basically across all Asia) it’s a normal thing. Salary is one of the things which Westerns discuss only with close friends and Viet people cannot understand this. It’s very rare to see a woman smoking in Vietnam however it’s quite normal to see it in Western countries. In Vietnam, cigarettes are only reserved for guys and even though woman can’t buy them easily. Vietnamese are likely to marry in pretty early age and have kids right after tying the knot. In western culture, it looks differently. 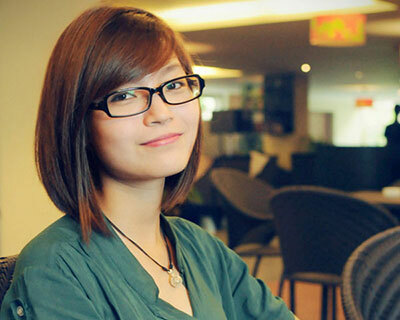 Viet people cannot understand why a single attractive lady who Is around 25 years old is not married yet ad has no kid. This is something not acceptable in their culture. Sad to say but most Vietnamese are trying to make good relations with Westerns for having free English classes. They are obsessed by the abilityto speaklanguages;however, they are not willing to pay for classes. Vietnamese people do not understand why Westerns cannot teach them for free. Most Viet people are expecting from Westerns who are coming to Vietnam to speak their language perfectly. Unfortunately, speaking Vietnamese fluently need lots of time and practice. Since Asian languages are much different than English or any European language, studying Vietnamese would take years. It seems like Vietnamese people have some superstitions about Westerns and it’s not easy to get rid of them. However, if you meet someone from Vietnam and keep being asked uncomfortable questions, try to explain how Western culture works and how it’s different from a Vietnamese one.